http://cinziamazzamakeup.com/?x=cialis-generika-kaufen You can listen to audio from Brent & Kathryn (even Emma right at the end!) speaking about Emma and her continuing battle with a brain tumor on the KAT 103.7 Radiothon for Children’s Hospital & Medical Center on August 15th. http://maientertainmentlaw.com/?search=us-pharmacy-and-lasix The Radiothon continues tomorrow (August 16th) on KAT 103.7 FM in Omaha, Nebraska. 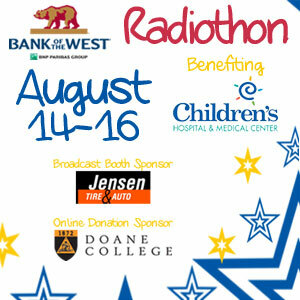 If you want to listen to the Radiothon online, search for KAT 103.7 on the iHeartRADIO page or app.